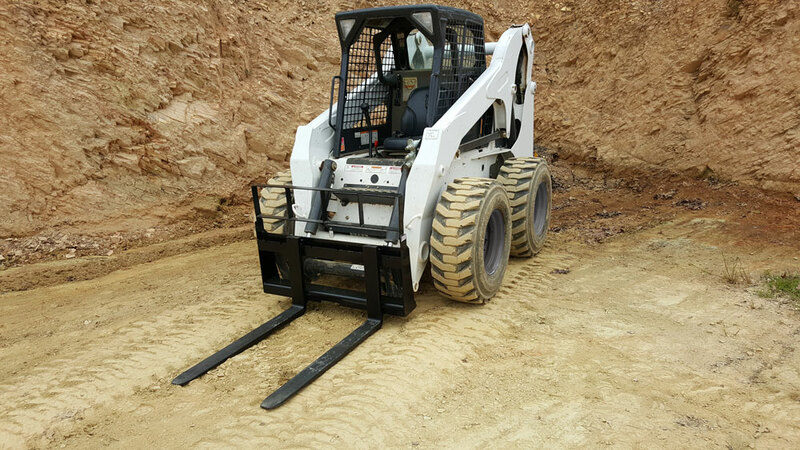 Forks are a must have for any skid steer owner. Whether moving pallets loading lumber or just about anything else these forks will do the job at a price lower than our competitors. American Attachments standard duty pallet forks are made for the end user who is looking to move light materials. A 42″ tine and a 2,800 lb capacity make our standard duty pallet forks perfect for light moves. 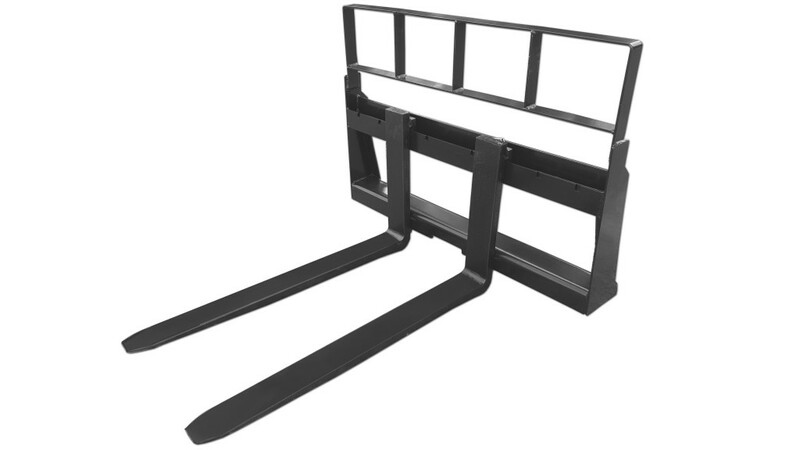 If you are looking to movie heavier items please take a look at our Heavy Duty Pallet Forks. These pallet forks offer a 48″ tine and a 4,000 lb load capacity. Standard Duty Pallet Forks Specs. • 2,800 lb load capacity.